Whether it be a pet, friend, or family member, what better way to remember a loved one than with a donation to the Atlanta Humane Society. Your donation is a touching tribute to a loved one and helps the animals at AHS, enabling us to care for them and find them loving homes. We will send the family a card or an eCard of acknowledgment so that they are aware of your generous contribution. Your memorial gift truly keeps on giving and provides a meaningful way to remember your loved ones. 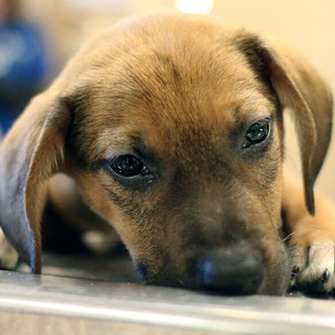 To make a gift by mail, send your check made out to Atlanta Humane Society to Memorial Gifts, 981 Howell Mill Road NW, Atlanta, GA 30318. To make a gift by phone call 404 974-2895. Download a printable Memorial Gift form here. Candle card artwork by Diana Ratner, in memory of her father Jonathan Ratner. Yes, I would like to send a printed card by postal mail. If you would like a printed card to be mailed, please complete the fields below. Please allow 5 business days for your card to be mailed. Yes, I would like to receive email from AHS. Thank you for your support of AHS! You can help more animals like Maggie here by switching your $ gift to a $ monthly gift now. 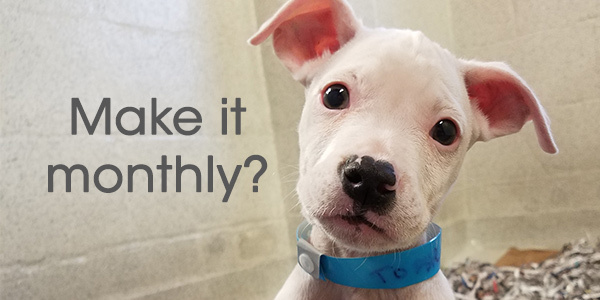 Your monthly support will help more dogs, cats, puppies and kittens find the shelter, care, and the loving home they so desperately need.